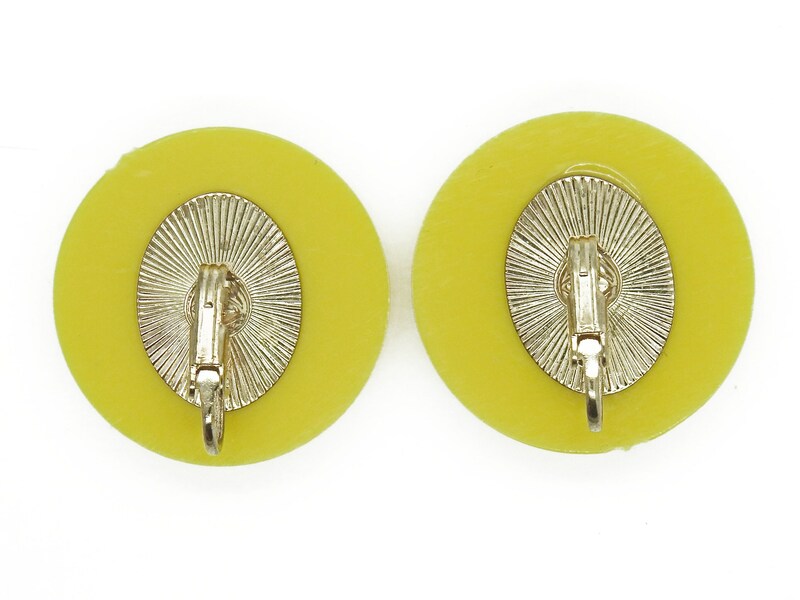 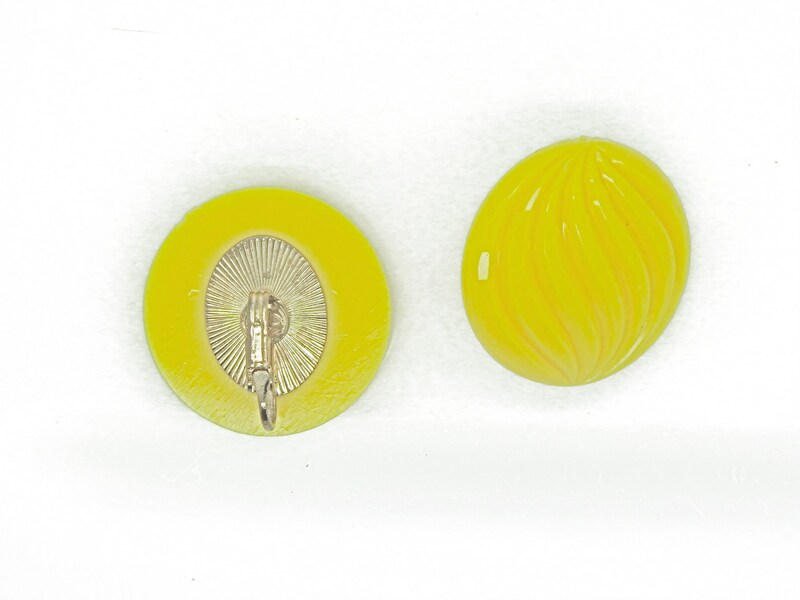 With this bright yellow jewelry round clip on earrings, you will create a charming retro look in nearly no time at all. 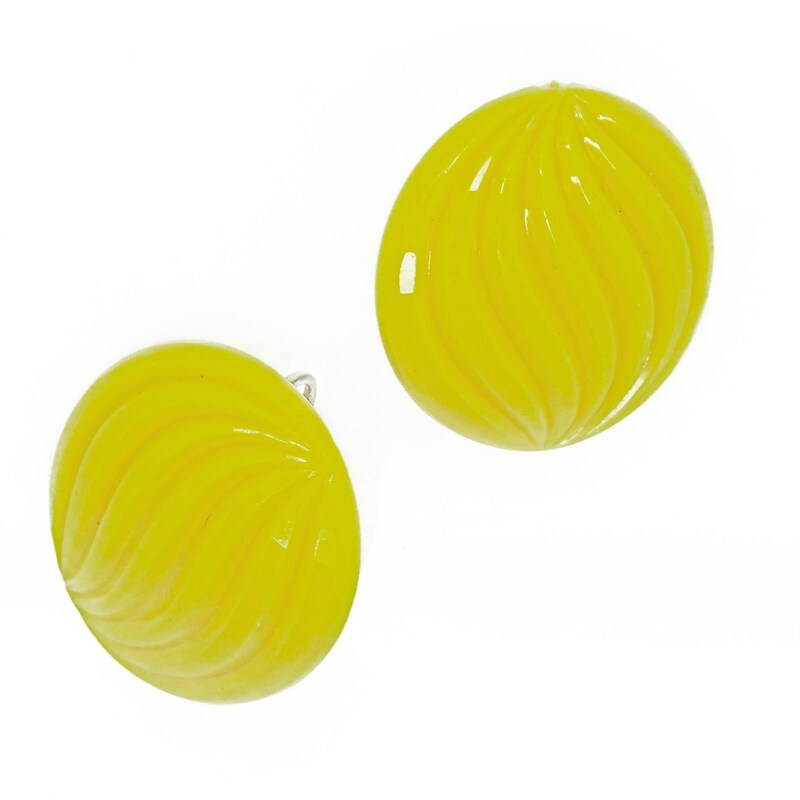 Adopt this neon yellow jewelry and reveal your unique sweet look! 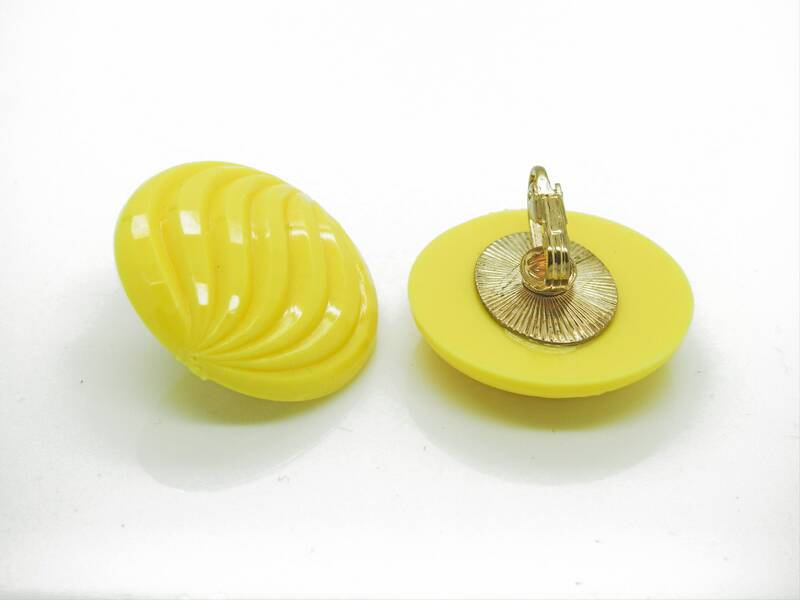 ● This vivid yellow clips measures: 3x3 cm // 1 x 1 in. 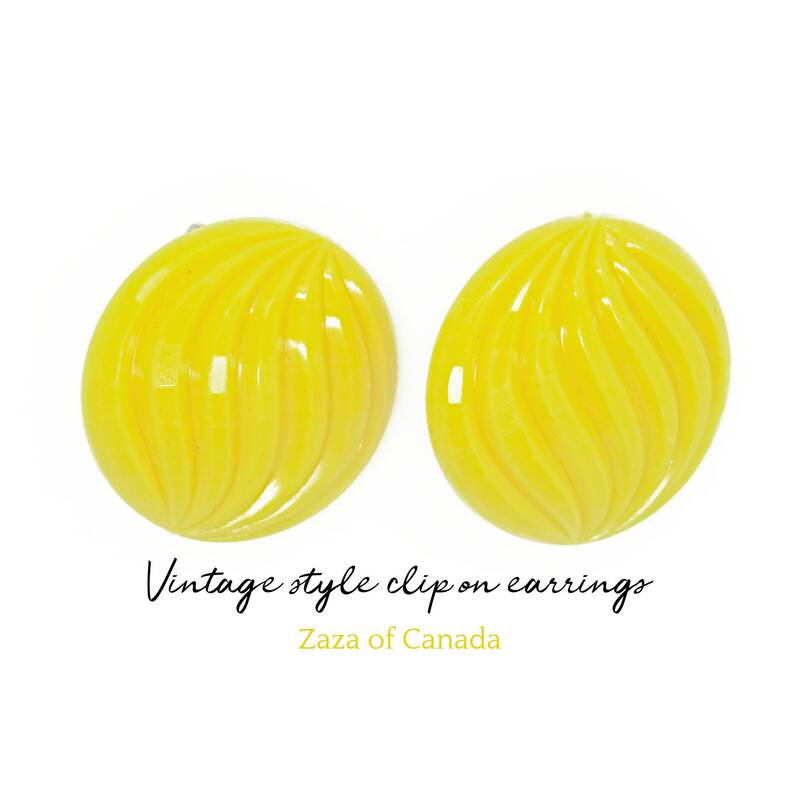 ● Made in Canada with retro style resin cabochon and vintage ear clip from the USA. 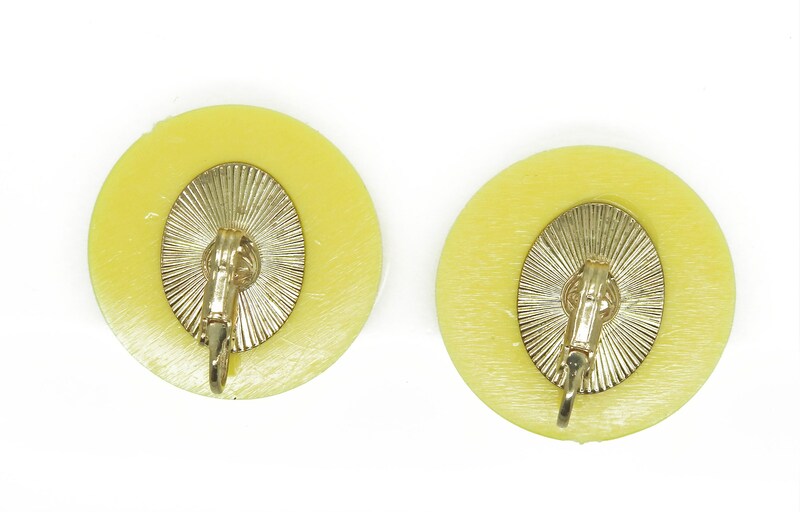 Thank you for your visit in my little Etsy store. 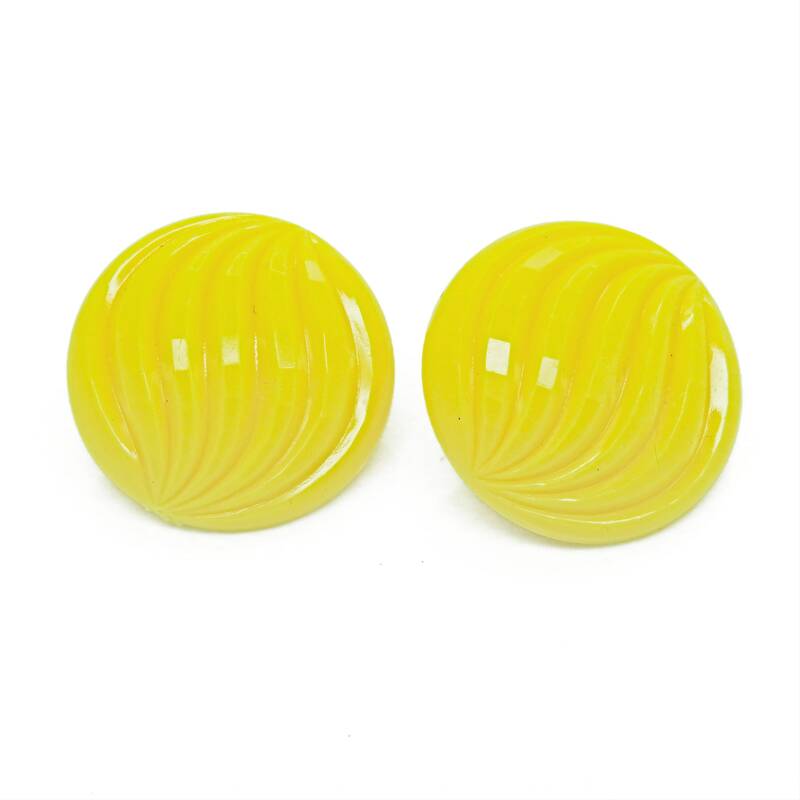 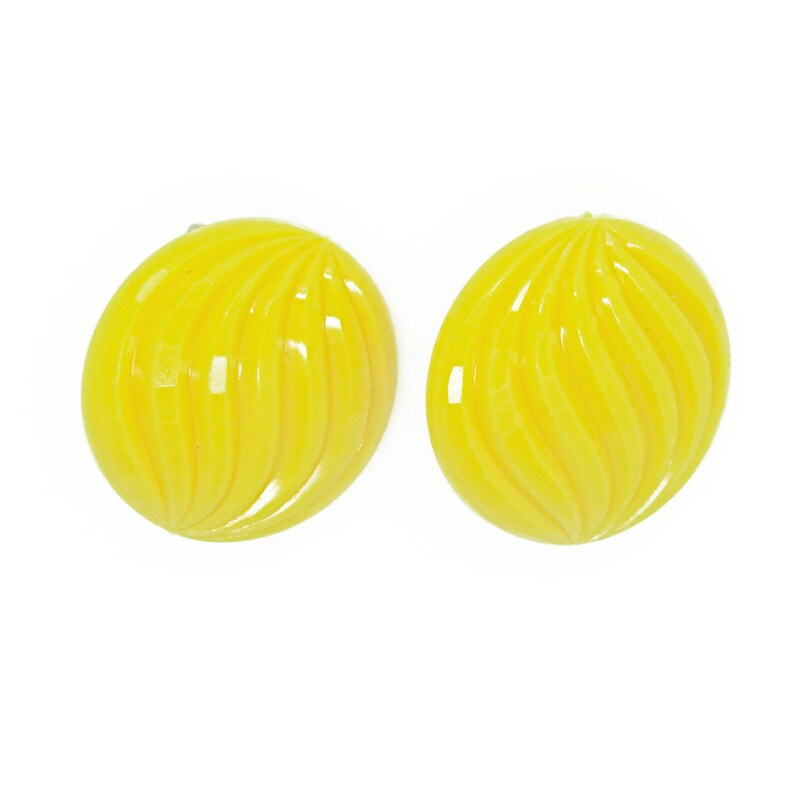 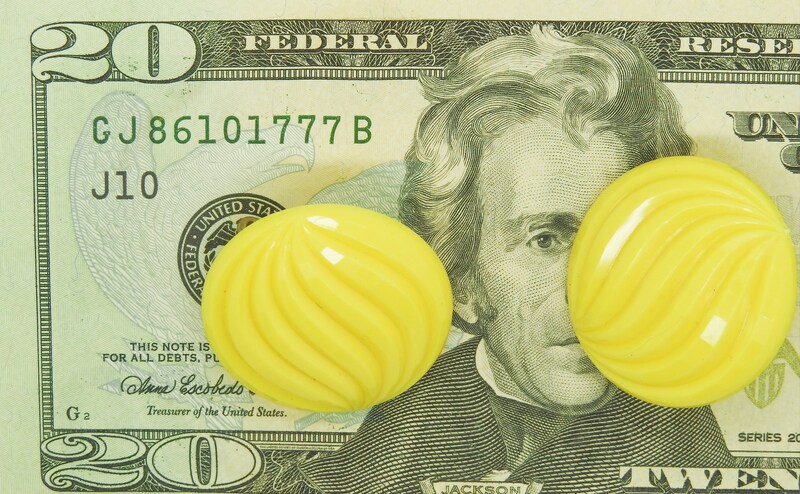 You will never go out again without these cute bright yellow clip on earrings!